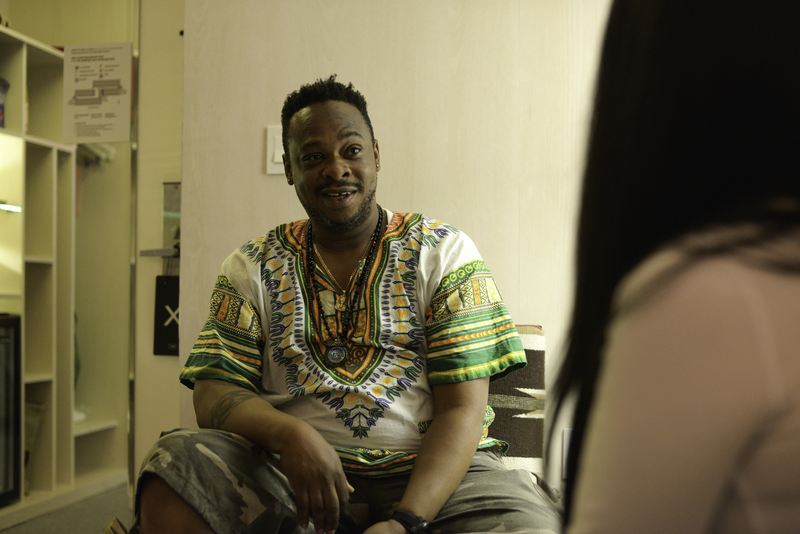 Chef Jarobi White, one quarter of A Tribe Called Quest and one half of EvitaN, has really stepped out and into the spotlight this summer as a force in the culinary world. Flexing his succulent skills, he brings his Eats, Rhymes and Life BBQ Series to Los Angeles this Labor Day Weekend. 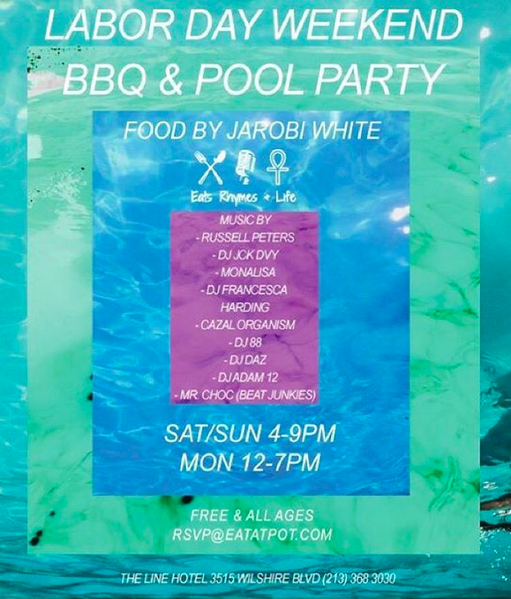 Today is the kick-off for the 3-day hip-hop and eats soiree, set at Chef Roy Choi’s Koreatown hot spot, The Line Hotel. Chef Jarobi will be manning the grill and offering delectable treats like braised pork belly skewers, hoisin mustard bbq chicken, kimchi tuna and burger sliders, and grilled fruit salad. Equally palatable tunes will be jamming throughout the event and will be served by the talented Adrian Younge, Mona Lisa, Mr. Choc, Russell Peters and more on the ones and twos. 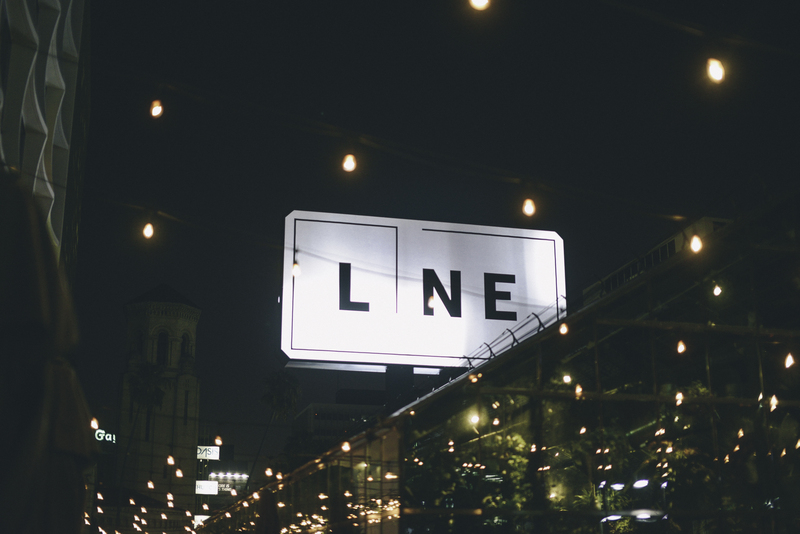 Stay tuned for more from our interview with Chef Jarobi White, and make sure you spend your weekend right at Eats, Rhymes and Life at The Line Hotel. Happy Labor Day! Emcee Editor for The 5th Element Mag. Outgoing Introvert, thought meanderer, and child-like wonderer forever.